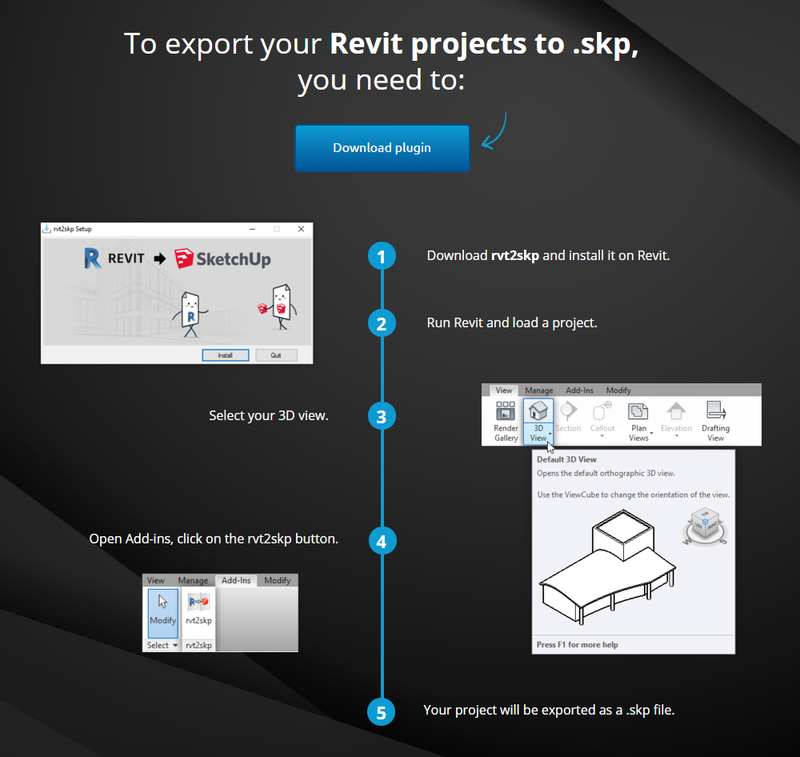 The rvt2skp plugin enables the Revit to Sketchup export option in Revit — conserving the geometry, materials, and linked models of your 3D model. The free rvt2skp add-in is brought to you by Kubity. There's more information available on the rvt2skp website, and on the Autodesk App Store. Added link to Autodesk App Store.